Home » Wrestling News » Flashback: 2015 WWE Survivor Series Results: New WWE Champion Crowned, Undertaker’s 25th Anniversary! Flashback: 2015 WWE Survivor Series Results: New WWE Champion Crowned, Undertaker’s 25th Anniversary! 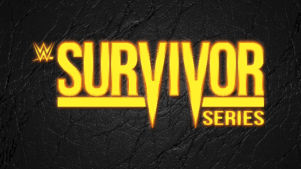 Share your thoughts on tonight’s Survivor Series PPV in the Disqus section below by using the #WrestleZone hashtag. If you’re on social media, use #WrestleZone to voice your thoughts on tonight’s show, and we want you to share our exclusive coverage page by using the social media buttons below! Goldust and Stardust start off the match. Viktor comes in and Goldust pins him. Viktor is eliminated. Titus and Konnor go at it next. Titus overpowers Konnor and unloads on him. Titus gets fans to chant for D-Von and in he comes to keep up the attack. Bubba is tagged inThey hit the big headbutt on Konnor and he rolls out of the ring. Bubba calls for tables. Miz and Stardust get knocked out to the floor, as does Bo. Neville runs the ropes and dives out onto all of them. Konnor is working over Bubba Ray. Bubba comes back and pins Konnor. Konnor is eliminated. Stardust comes in and goes at it with Devon. Bo gets involved and they beat D-Von down in their corner with quick tags and attacks. Miz comes in and nails Devon in the face for a close two count. Stardust comes off the top but D-Von catches him. Neville tags in and clears the apron before going to work on Stardust. Miz ends up stealing a pin after Bo does all the work and eliminating Neville. Goldust comes from behind and rolls Miz up. Miz is eliminated. The Miz argues with a referee about being eliminated. Stardust attacks Goldust Goldust finally makes the hot tag to Titus and he unloads on Stardust and Bo. Stardust comes off the top but Titus catches him in backbreakers. Fans bark for Titus as he splashes Bo and Stardust at the same time. Titus is tagged backed in. Titus hits Clash of the Titus on Bo for the pin. Bo is eliminated. Stardust is terrified and hops off the apron. Stardust runs into Goldust but drops him. The Dudley Boyz are tagged in and connect with The 3D to pickup the victory. Be sure to continue refreshing the page as results become available!